SANDESTIN — The two Marriott hotels at Grand Boulevard were recently recognized for being among the company’s top hotels in the nation. The Residence Inn by Marriott Sandestin at Grand Boulevard received the Gold Hotel Award for its overall customer service satisfaction scores and ranked in the top 10 percent of the 667 Residence Inn hotels worldwide for customer service at the recent 2015 Marriott General Managers Conference in Washington, D.C. 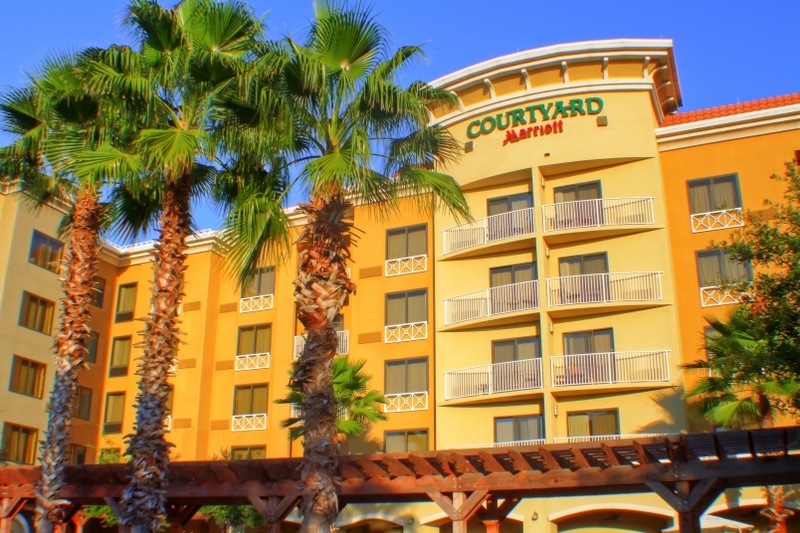 The Courtyard by Marriott Sandestin at Grand Boulevard received the Platinum Hotel Award and ranked in the top 1 percent of the more than 1,000 Courtyard hotels at the same event. The Courtyard by Marriott Sandestin received third place in the entire brand for its Guest Arrival Experience. “Howard Hospitality’s two hotels at Grand Boulevard have continuously ranked high both in guest service scores and on TripAdvisor throughout 2014,” said Karen McNevin, vice president of hospitality and human resources for Howard Group. “The managers’ and associates’ daily commitment to service our guests in the highest manner is incredible. “Receiving glowing emails from guests about the service received from our associates, the recognition of being a Marriott Rewards member and the compliments on our renovations solidify our team and hotels are top-notch,” McNevin added. In January 2014, Marriott International implemented the guestVoice program, a new global guest feedback initiative that integrates guest sentiments from social media listening along with the more traditional Guest Satisfaction Survey. Marriott also shortened their Guest Satisfaction Survey and provided a mobile-friendly version to encourage maximum guest participation. In addition to the two hotels being recognized by Marriott, Tania Koehler, the general manager of both hotels, received the Diamond General Manager of the Year award for the Courtyard as one of three recipients out of 1,000 general managers.